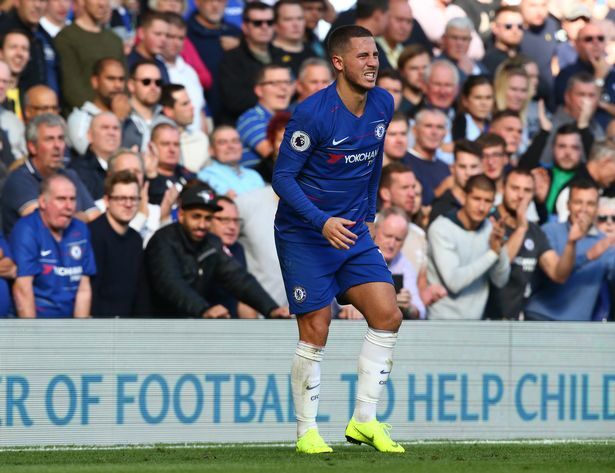 Chelsea manager, Maurizio Sarri has provided update on the injuries of forwards, Eden Hazard and Pedro. The Italian gaffer suggested that Hazard will be available in his side’s Premier League fixture against Crystal Palace on Sunday. According to him, he doesn’t know when Pedro will be available for the Blues, adding that the Spaniard was having a strong stomach ache. Speaking ahead of his side’s Carabao Cup clash with Derby County on Wednesday, Sarri was quoted by Football London as saying: “I want Eden as soon as possible. I want him every match if possible because we have a lot of good players. “I’m not sure for Wednesday, but hopefully for Sunday. Hazard offers something different. On Pedro’s injury, Sarri said: “I don’t know exactly when he will return.